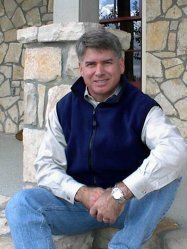 Forrest Homes, Inc. was founded in 1998 by Julio L. Laguarta with the desire to offer visually pleasing, architecturally diverse custom homes in the neighborhood of West University Place, Texas. In the first year, 5 custom homes were built and sold. Forrest Homes, Inc. began building with a unique "Hill Country" look and feel, featuring solid rock and pine exteriors with pine hardwood floors, granite counters, and rich wood trims throughout the interior. Julio L. Laguarta is a highly respected veteran with over 25 years of real estate and residential construction market experience. A native Houstonian, Laguarta attended the University of Texas at Austin, majoring in real estate. He started to work in the family business in 1979, handling the sales and marketing of Real Estate partnerships located around Houston. These partnerships included over 100 investors and property valued at over $20,000,000. In 1983, he became vice president of the commercial real estate division of Laguarta, Gavrel & Kirk responsible for the supervision of twenty-five sales associates who brokered real estate in and around the greater Houston area. In 1986, Laguarta moved from commercial to residential real estate working for Neighborhood Homes and applied his management technique to the sales of single-family homes. With twelve sales associates, he was responsible for 250 sales over a two year period. Using this experience and knowledge, Laguarta moved into construction supervision. From 1990 to 1995, while working with Neighborhood Homes Julio Laguarta built and sold 70 homes, ranging in size from 2,500 square feet to over 4,500 square feet. These homes ranged in price from $200,000 to $500,000. Beginning in 1996, Laguarta entered into a partnership with 2 equity partners and focused on the $500-$800,000 market. Laguarta was the first builder in Houston to offer limestone as the focus of his design, showing his creativity and vision. In 1998, riding the strong demand for this style, he acquired larger lots and moved into the $1,000,000 price range, offering homes that exceeded 5,000 square feet. Laguarta is an active member of the Houston Association of Realtors and the Texas Association of Realtors. He served as a director of the Houston Association of Realtors from 1985 to 1990, also serving as secretary and treasurer in 1988 and vice president from 1989 to 1991. Laguarta is also active in the St. Andrew's Presbyterian Church where he is an elder. Laguarta is married, has three children and two grandchildren. He enjoys fishing, hunting, snow skiing, and spending time with his family.